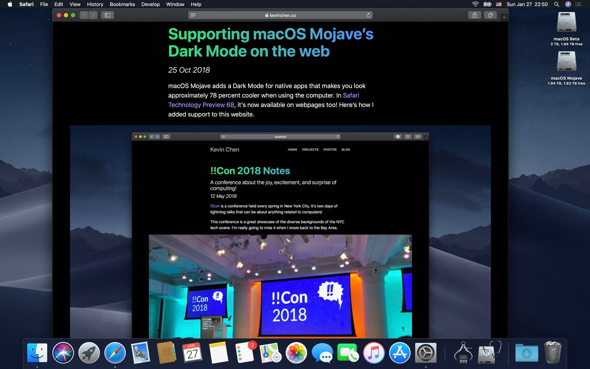 Websites that support dark themes still appear white in the current macOS Mojave 10.14.3, but on MacOS Mojave 10.14.4 they automatically adapt to OS appearance. MacDailyNews Take: Websites that implement this will give a nice little bonus to Safari users. As Safari is by far the most popular browser for visiting MacDailyNews, we’ll consider adding it, for sure! We assume Apple.com would take the lead on this.